K. Praveen, M.Com, (CA), having more than 15 years of work experience in the field of finance, accounts, administration, audits, statutory compliances, Internal system management and team management. He has played a significant role in various segment of the Industry like Manufacturing Industry, Textile Industry, Service Industry and Banking. He is with team Hiregange from past 6 + years who has played a very important role in the success for the firm which is seen today. Qualified as Chartered Accountant in 2016. Currently, he is an Audit Manager & assisting CA Mahadev R, partner of Hiregange and Associates in Audit wing. Has experience of 3 years in Internal Audits, Compliance and Assistance matters. Also, 1.5 years and counting in Indirect Taxes, directing focus toward GST, including audit and consultancy matters. Have headed GST Impact assessments of various industries such as Automobile, Software, Logistics, Retail, Construction, Education, etc. Assisting CA Rajesh Kumar T R in authoring ‘Practical Guide to GST’. Also member of powerful study circle ‘Akshara’ at Hiregange& Associates. 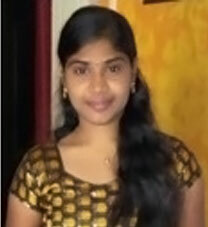 Has graduated from Bangalore University and pursuing LLB. Currently, he is senior manager - Audit & assisting CA Mahadev R, partner of Hiregange and Associates in Audit wing. Has experience of 8+ years in the field of Indirect Tax including compliance assistance under Central excise and Service tax in M/s Hiregange & Associates, Chartered Accountants. He also headed GST impact assessments of various industries Pharma industry, Agriculture, Aerospace and Automobile etc. Has authored a booklet on “Reverse charge & Joint charge under Service tax” published by Hiregange Academy. He is also regular contributor of articles to news letter published at Hiregange Academy and Excise law times published by Centax publications. He is also an active member of powerful study circles like “Parivarthan” at Hiregange & Associates. Post graduate, working in legal division by “PASSION” and also mentor to trainees. Having vast practical and legal knowledge in the fields of construction and real estate. Expertise drafting skills in the areas of departmental correspondence, reply to show cause notice and appeals at various stages. Specialized in representational work before Settlement Commission. Has written few article on construction and settlement commission. Also a part of MOCK Tribunal conducted at various places by ICAI. Assisted in authoring Book on practical guide to Service Tax – 1st edition. Qualified as a chartered accountant in 2015. 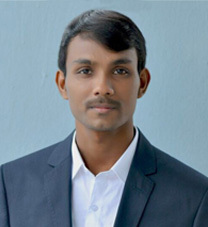 He completed his Bachelor of Science degree in computers from Acharya Nagarjuna University. He is pursuing his CS. He is currently heading Audit & Assistance division of Hiregange and Associates (Hyderabad). He contributes articles and also actively engages himself in the giving trainings to the clients and industry on GST. Chartered accountant qualified in 2015 and currently working at Gurgaon branch of the “Hiregange & Associates”, chartered accountant firm. His core competencies have been in the area of Indirect Tax and has been doing audit and compliance work in central excise and service tax for many corporates and other entities. He has assisted many corporates for implementation and transition to GST. He presently handles the GST/IDT related review, audit and assistance matters at the Gurgaon branch of the firm. He has been empanelled as a GST faculty by ICAI. Qualified CA in 2010 and LLB in 2014. She has a post qualification experience of 5 years in Indirect Taxes which also includes a year at KPMG (Gurgaon). She also imparted IDT coaching to CA (IPCC and Final) and CS professional students for 2 years. She presently handles the GST/IDT related advisory and litigation matters at the Gurgaon branch of the firm. She has been empanelled as a GST faculty by ICAI. She is a part of the GST study group formed by ICAI for the State of Haryana and has also actively contributed to analysis of GST laws as published in the ‘Background Material on GST Acts and Rules 2017’ by ICAI. CA. Nagendra Hegde [B.com, MBA, ACA]: Nagendra Hegde is a Chartered Accountant, qualified in May 2016. He has work experience of over seven years including five years in Indirect taxation at H&A. Presently working in Mumbai division of the firm. He has written a booklet on “Mechanism of Cenvat Credit and the Impact under GST” published by Hiregange Academy. Qualified as a Chartered Accountant in 2012. In the field of consulting since 2012, he has extensive experience in the field of audit and taxation. Presently part of the Chennai branch of the firm. Qualified as a Chartered Accountant in 2002, she has past experience in Big4 consulting firms with varied exposure in the areas of Audit and International Taxation. Presently part of the Chennai branch of the firm. Rajesh Maddi is an Associate Member of the Institute of Chartered Accountants of India and a Graduate of the Institute of Cost Accountants of India & Institute of Company Secretaries of India. He completed Indirect tax certification course conducted by ICAI. He is an outstanding performer throughout his academics and secured All India Ranks. Currently working as a Senior Manager at Hiregange & Associates, Visakhapatnam. He is an active contributor of articles to Excise Law Times (ELT), Service Tax Review (STR) and other leading websites relating to various indirect tax topics. Qualified as a chartered accountant in 2016 and currently working at Gurgaon branch of the firm. His articleship has been in the area of Direct tax and Audit. He has been actively involved in GST implementation and consultancy work of many corporate entities. He has headed GST Impact assessments in various industries like Logistics, Construction & Real Estate, Manufacturing, Retail, Energy, etc,. Also, has a wide range of experience in UAE VAT and has successfully completed several projects of VAT Implementation in Dubai. Presently, active in GST review and audit work. Qualified as a Chartered Accountant in the year 2016. He has work experience of over 5 years in Indirect Taxes. Presently, working as Senior Executive in Litigation Division of Hyderabad Branch and appears before various tax authorities. He is sincere and dedicated towards work. Active contributor of case law updates and articles on various professional forums. He is active in mentoring Article students in preparation of their exams. Chartered accountant qualified in 2014. Currently he is an active member of the audit wing of Hyderabad branch. He has worked for 2 years for Infosys, Globally reputed Indian Software Company. He is actively engaged in conducting training sessions and writing articles on GST in India. He had conducted Impact studies for various clients engaged in multiple sectors such as Manufacturing, EPC, Hotels, Job work, EPC..etc and assisted in successful transition to into the GST regime. He is presently engaged in handling the assignments of reviewing the status of compliance as per the GST law for our clients. Qualified as Chartered Accountant in 2016. Currently is a Senior Executive in Audit wing of Hyderabad Branch. Has completed articleship in H&A itself and has exposure in all 3 wings of the firm i.e., Audit, Consultancy & litigation. Has good knowledge on industries like Manufacturing, Construction, Media, Hotel, Logistics, Infrastucture, Education etc. Contributed articles to CENTAX, TAXMANN etc. Completed CS (Executive) and appearing for Professional level.